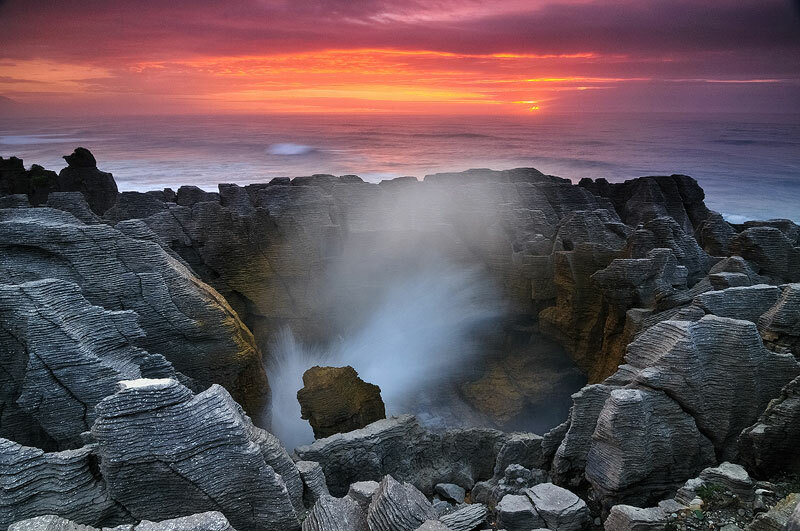 Sunset at Pancake Rocks blow hole | Punakaiki, New Zealand. The pancake rocks at sunset when the wave action was a little more intense. Caught this decent size spray as the sun was going down and was lucky enough the clouds didn't block out all the light!